... 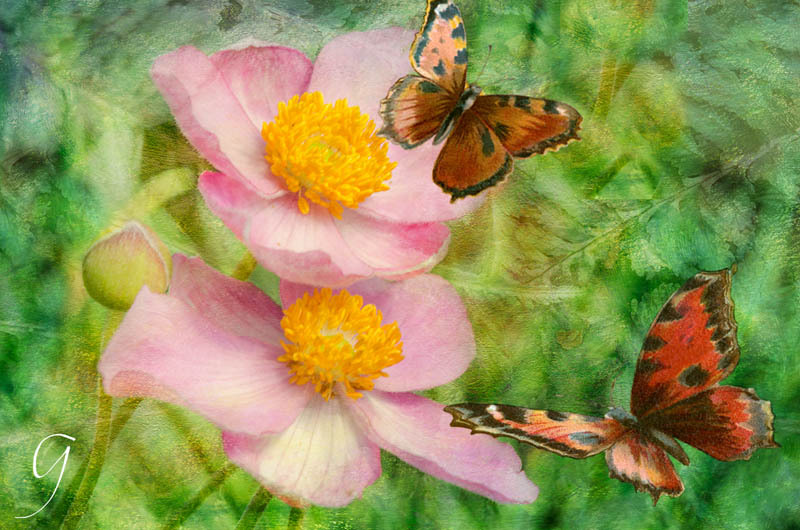 Spread the love with note cards or decorate your walls with a beautiful fine art print. 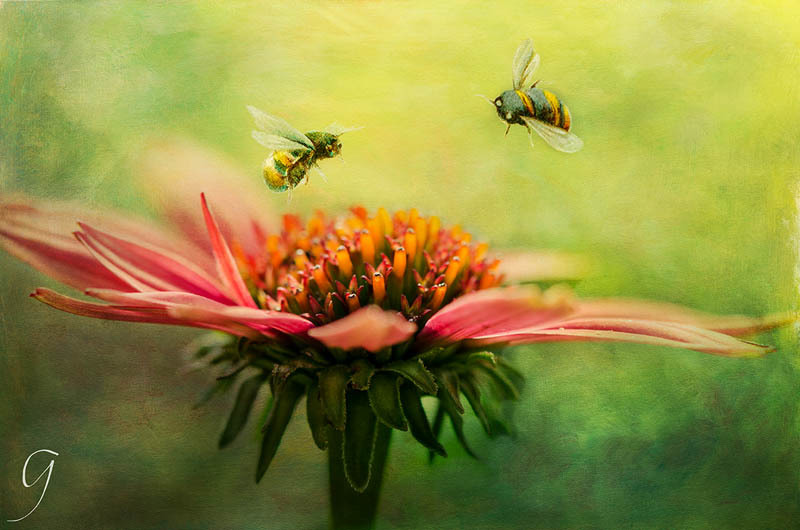 A collection of fine art flower prints in painterly style just for you. 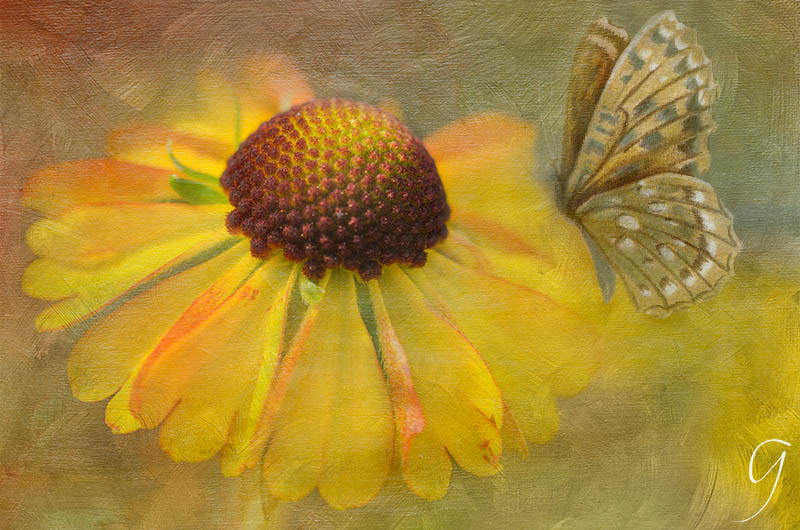 If you decide to go with prints, you can pick up 3 - 8 x 12 prints for a special price. 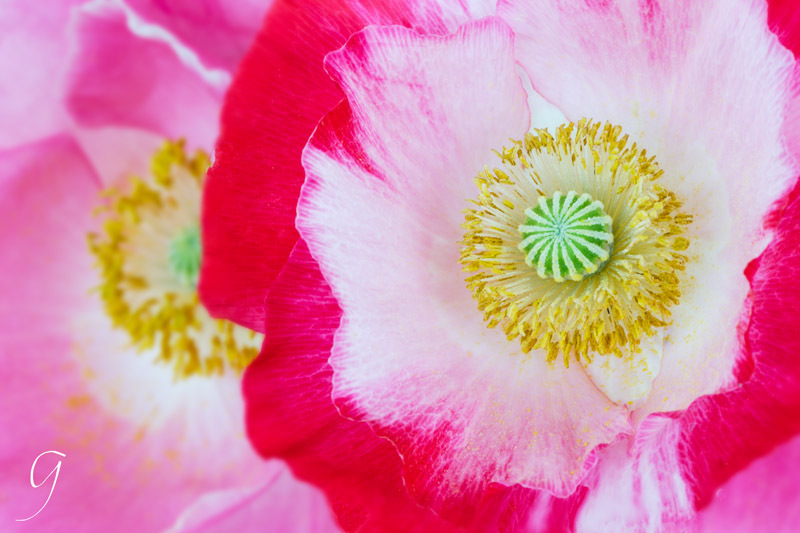 Click here to check that out along with other special offers. 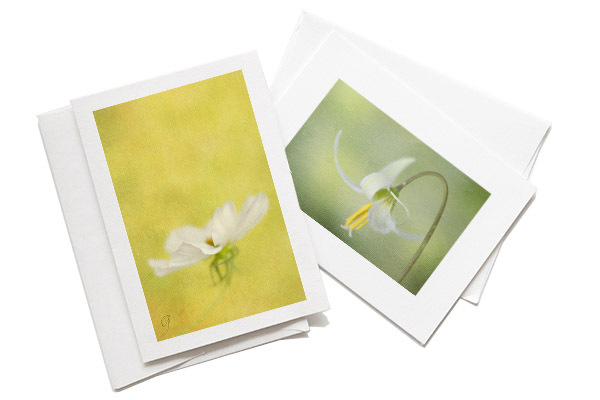 Buy a set of 3 or 5 flower note cards and save as well. The bundle prices are a bit further down this page. 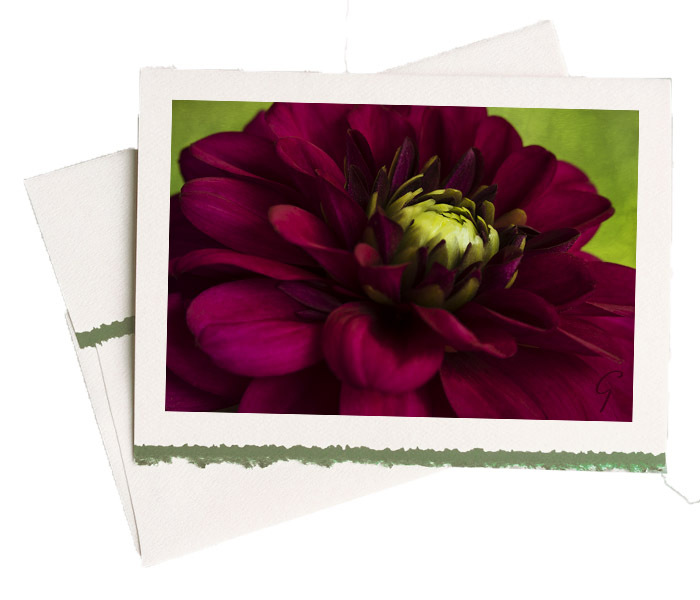 On the order page, in the special instructions, you can tell me if you prefer a deckle edge, a photo frame style, or the classic card. Ivory or white card stock ensures that your written note inside is easy to read. 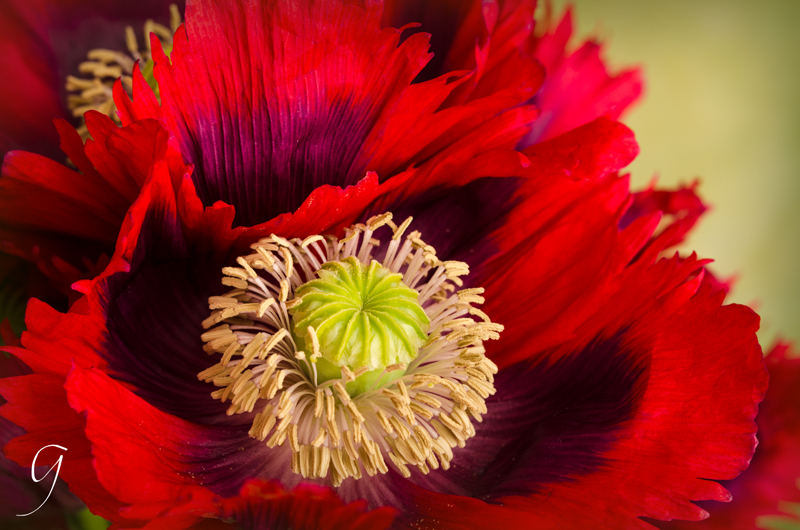 Photos are 4 x 6 inches, except panorama cards which are varied sizes on a 5.5 x 8.5 inch card. 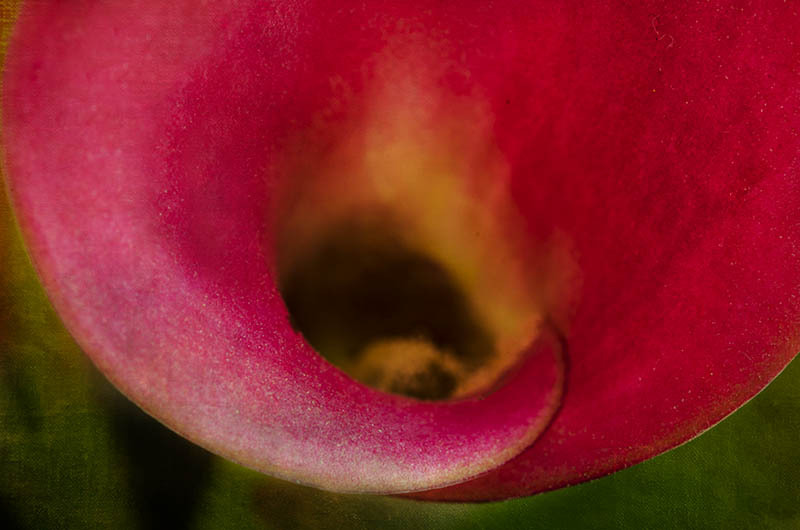 PRINT #CAL_001H - Deep fuchsia miniature calla lily with textures. 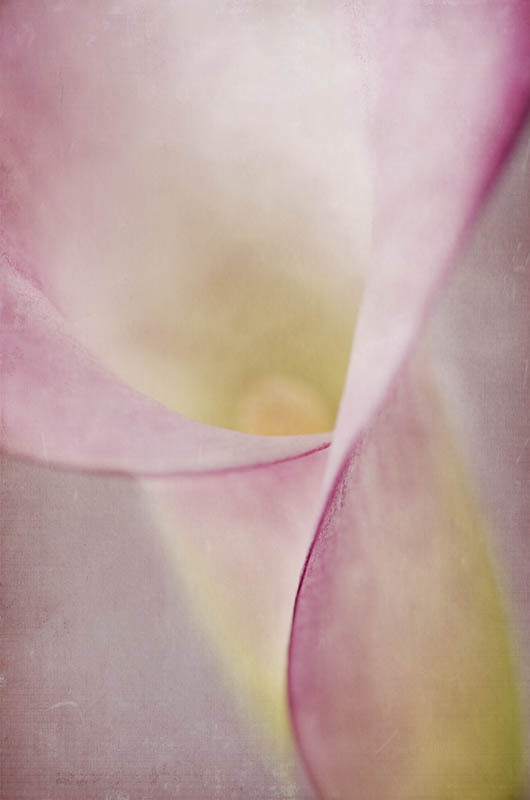 PRINT #CAL_002H - Pastel fuchsia calla lily with textures. 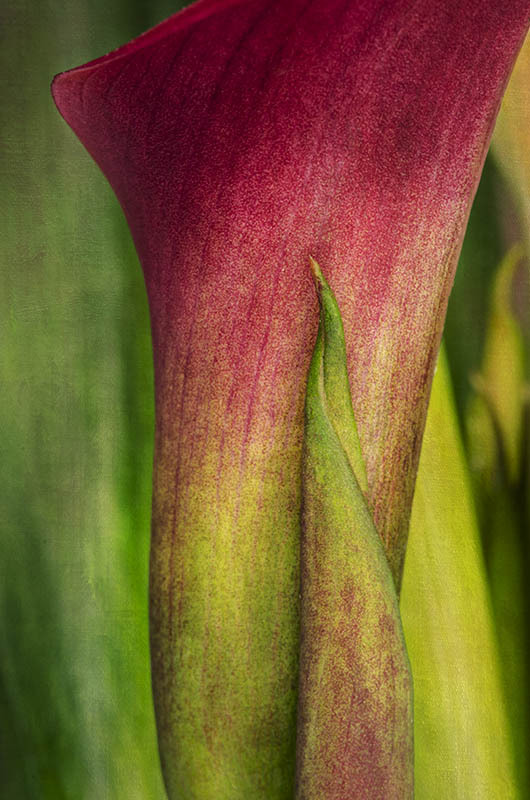 PRINT #CAL_001V Deep fuchsia calla lily. 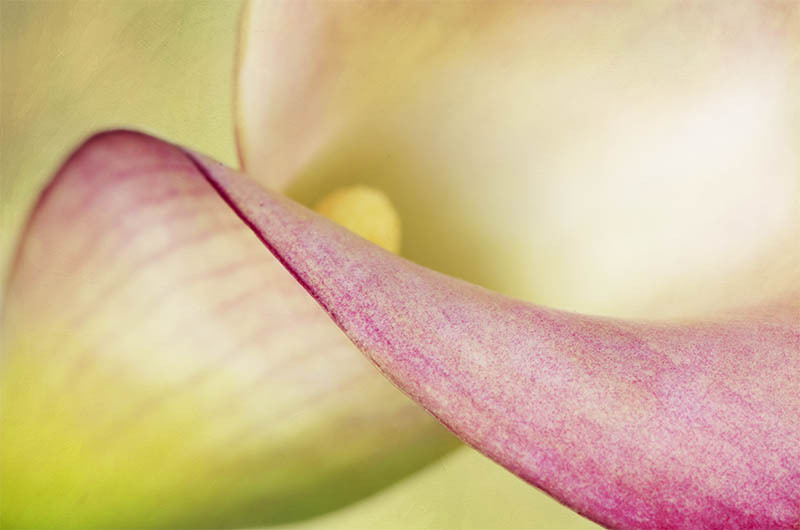 PRINT #CAL_002V - Pastel textured calla lily. 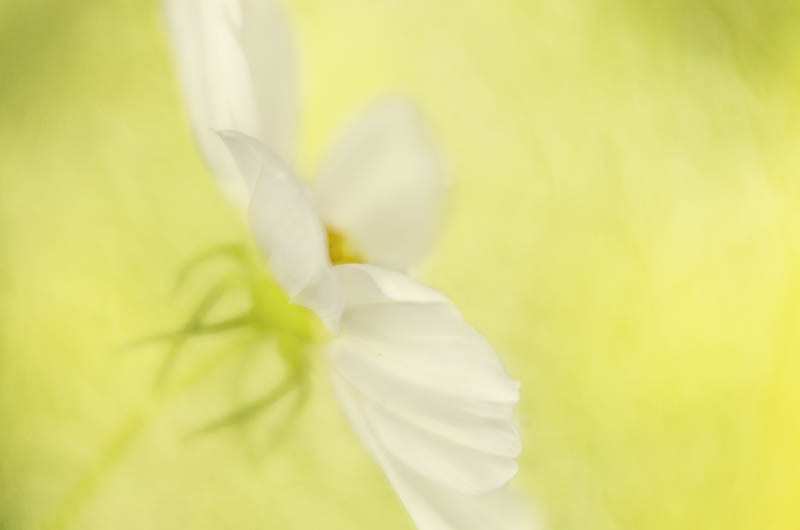 High quality acid-free, deckle-edged or 'window frame' card stock. Blank cards (5"x7") for your own personal message. 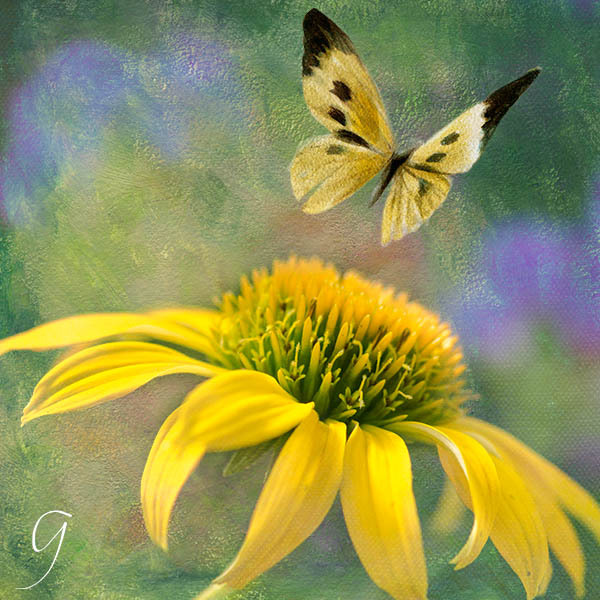 Put the image code # of the card(s) you want in the PayPal box that says "Your card choice" - example: "FB_001H"
I spend a huge part of my day on the computer, working on my website and editing photos. If you're like me, your correspondence is pretty much emails, texts or messenger of some kind. What happened to writing an old fashioned letter or card? When I get a handwritten card in the mail... remember "snail mail"?... I'm ecstatic. Aren't you grateful when somebody takes the time to sit down and write you a note? And if it's a beautiful card, even better. 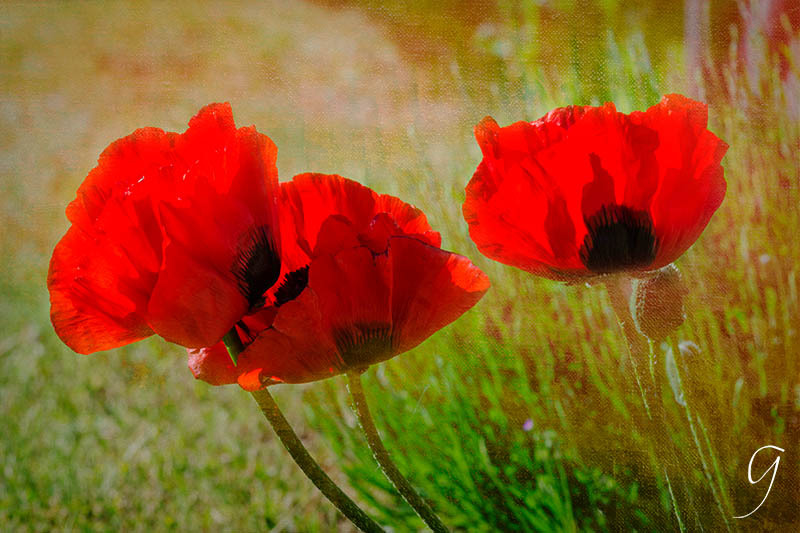 I'm sure you know several special people who would appreciate a gesture like that. So, please order one or more of my cards right now. 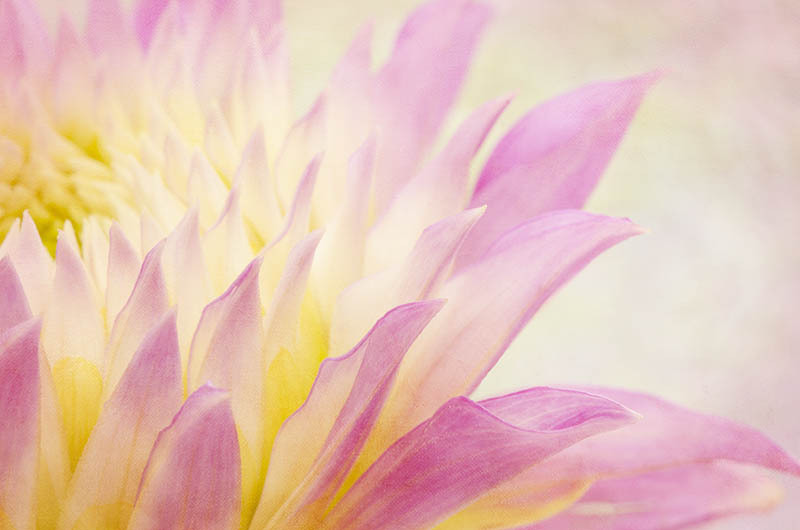 Send on a little love through a flower note card with your very personal handwritten message. 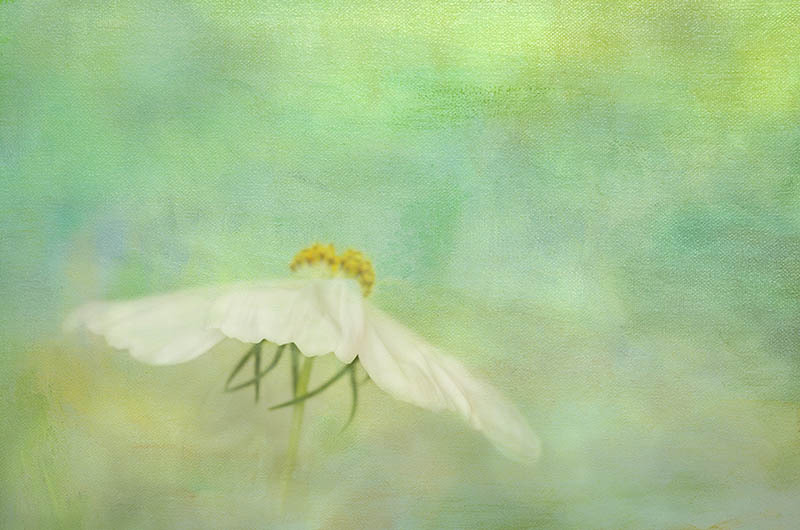 PRINT #COS_001H - White cosmos, painterly, textured image. 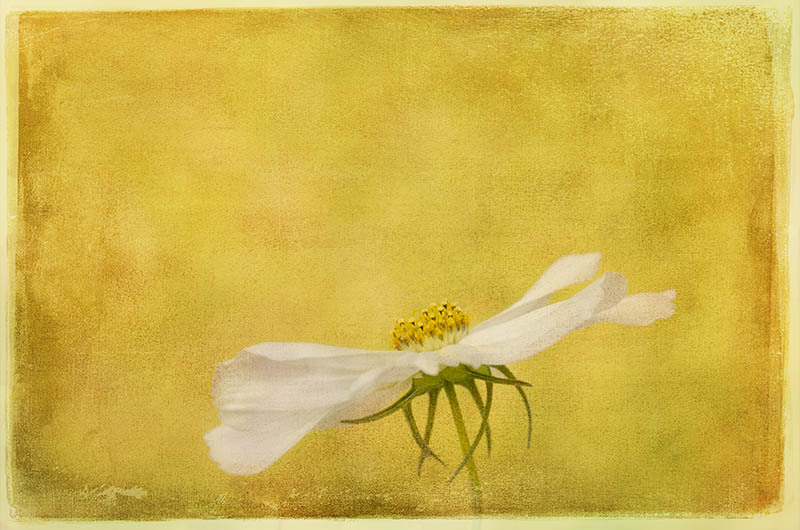 PRINT #COS_002H - White cosmos, painterly, yellow texture background. PRINT #COS_003H - White cosmos with painterly textures. 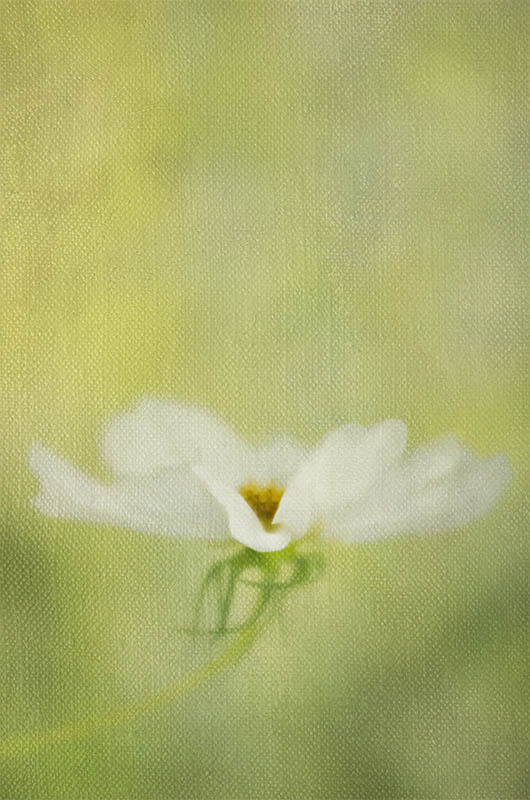 PRINT #COS_001V - Painterly, delicate white cosmos. 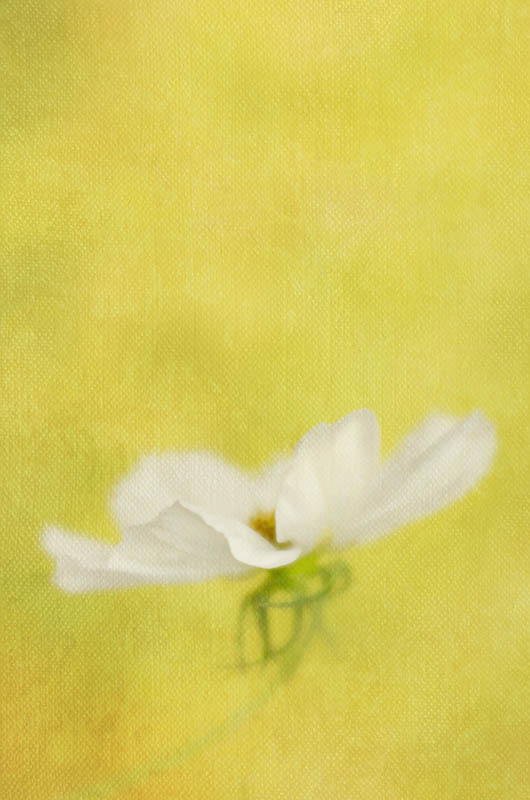 PRINT #COS_002V - Painterly, delicate white cosmos. 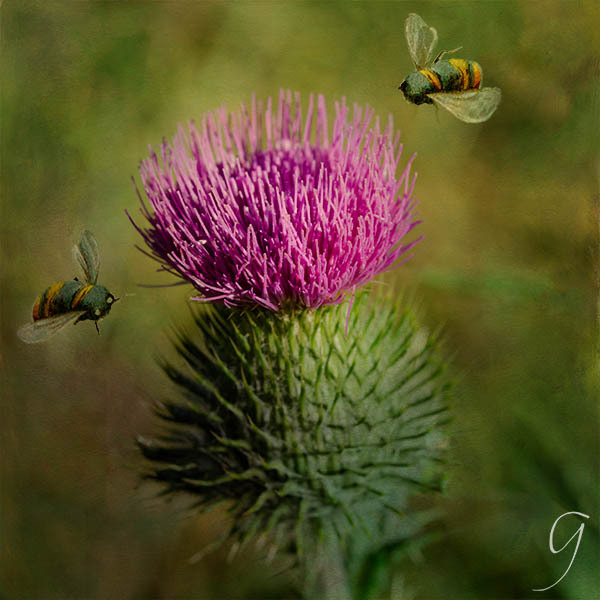 Any of the images on this page are available as fine art prints. 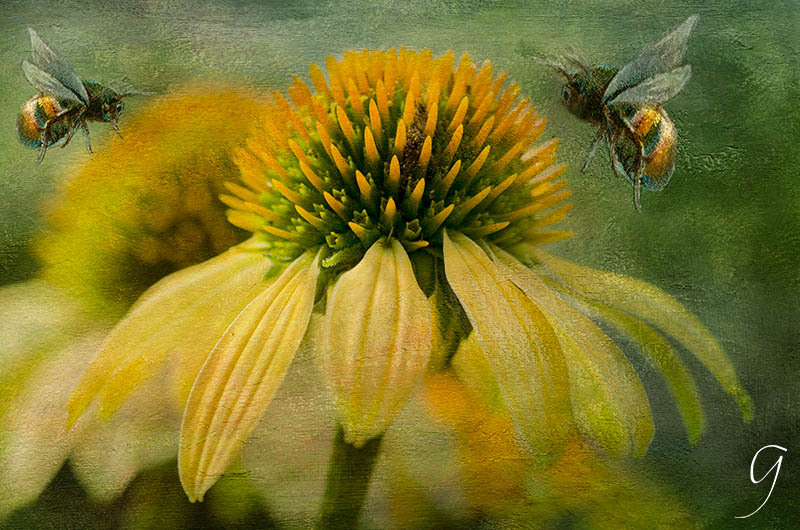 If you would like a larger print than 10 x 15 inches, or on canvas, please contact me and I'd be happy to talk about what you'd like and the cost. 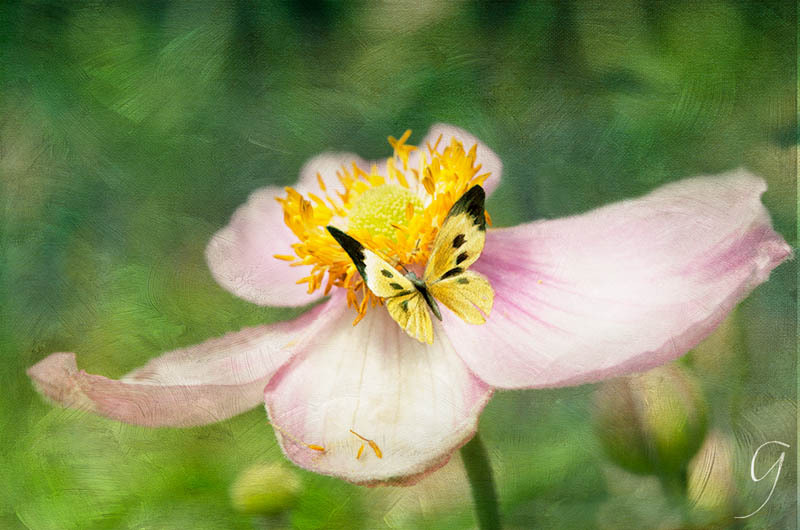 Many of my painterly prints look amazing on canvas with the texture in the print added to the canvas. And I can advise you on framing... my favourite is a floating frame added to the frame the canvas is mounted on. Really cool finishing touch. 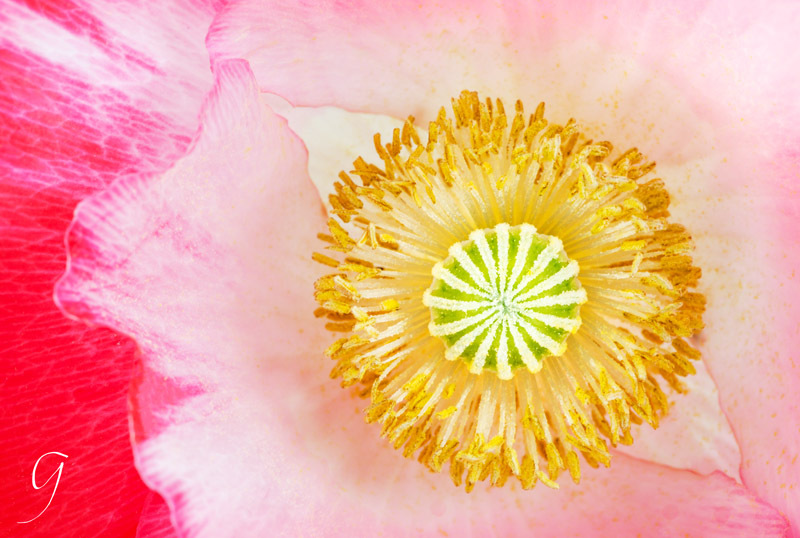 Click on any flower to view a larger image or to begin the slide show. 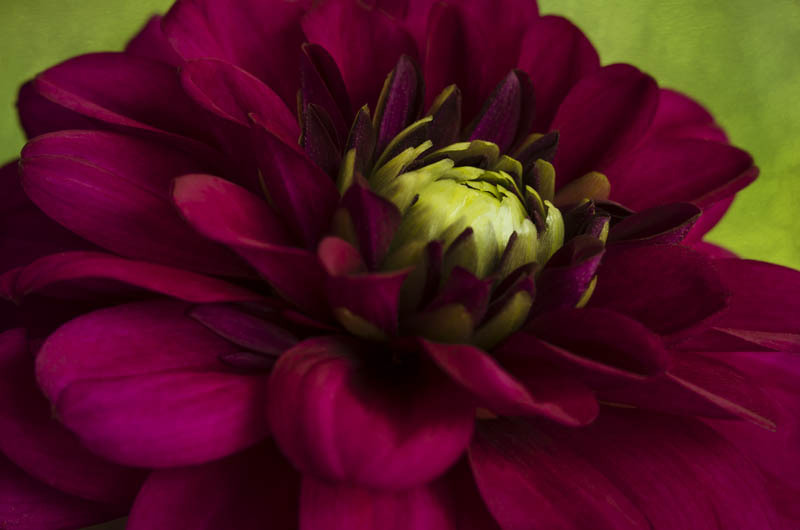 PRINT #DAH_001H - Magenta dahlia with emerald green accents. 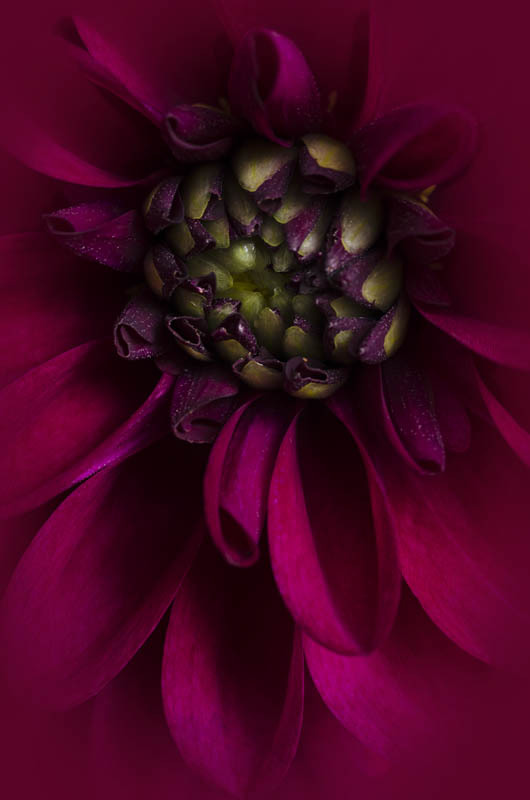 PRINT #DAH_002H - Deep magenta dahlia with a green centre. 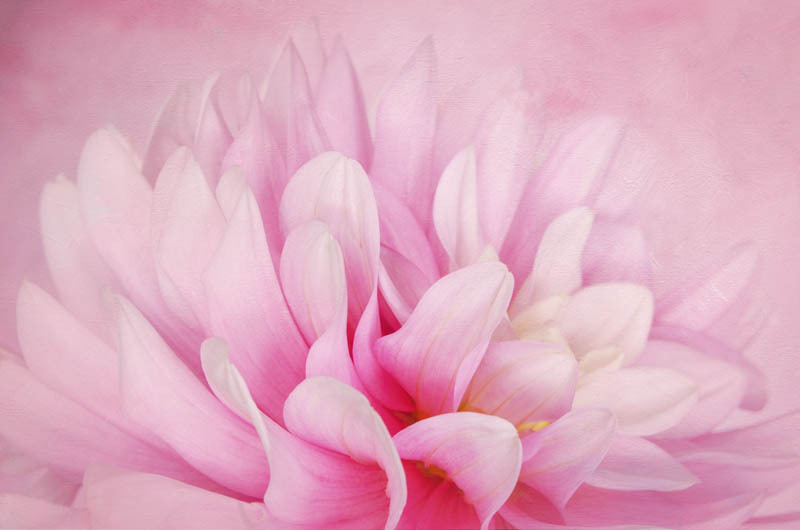 PRINT #DAH_003H - Painterly pink dahlia with textures. 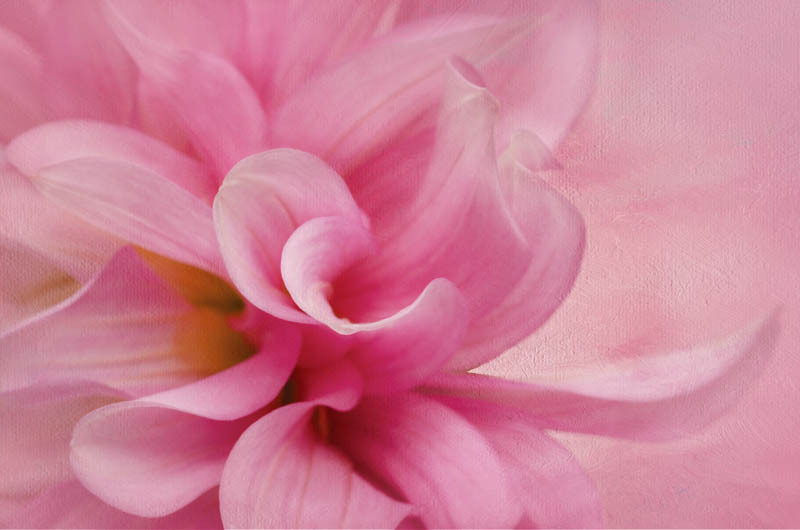 PRINT #DAH_004H - Painterly dahlia in shades of pink. 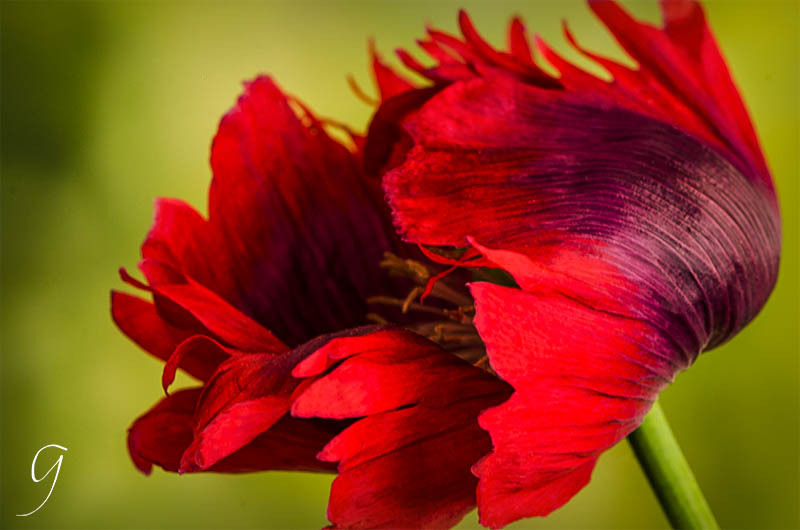 PRINT #DAH-005H - Fiery red dahlia with vignette. 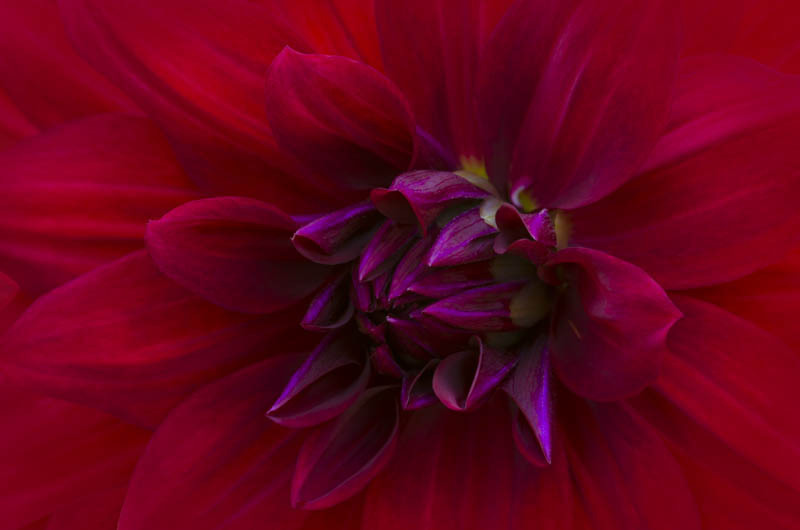 PRINT #DAH_006H - Brilliant dark fuchsia dahlia with vignette. 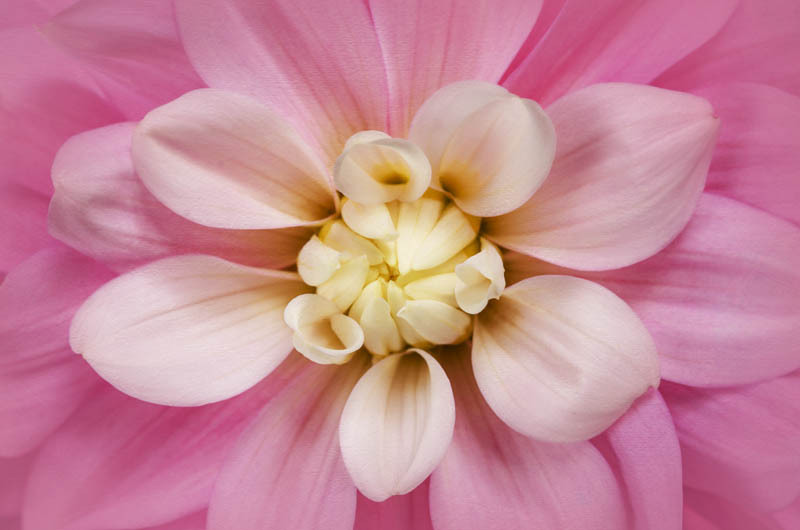 PRINT #DAH_007H - Pastel pink dahlia with a yellow and white centre. 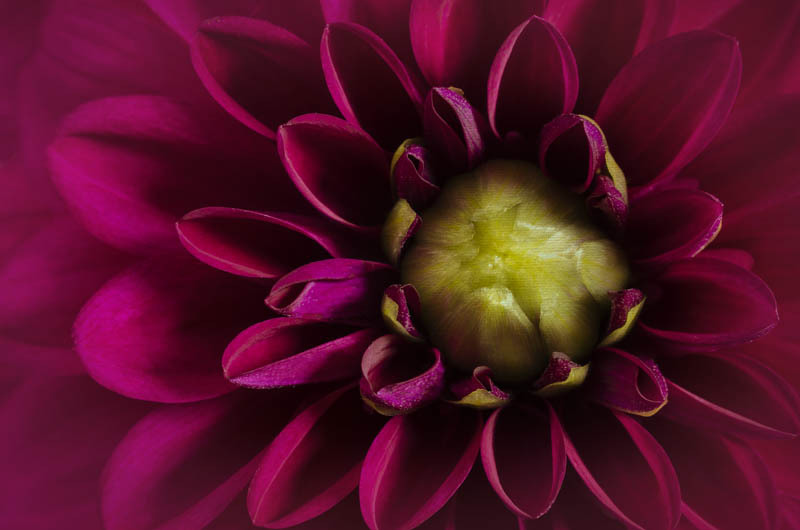 PRINT #DAH_008H - Painterly purple, yellow, white dahlia with texture. 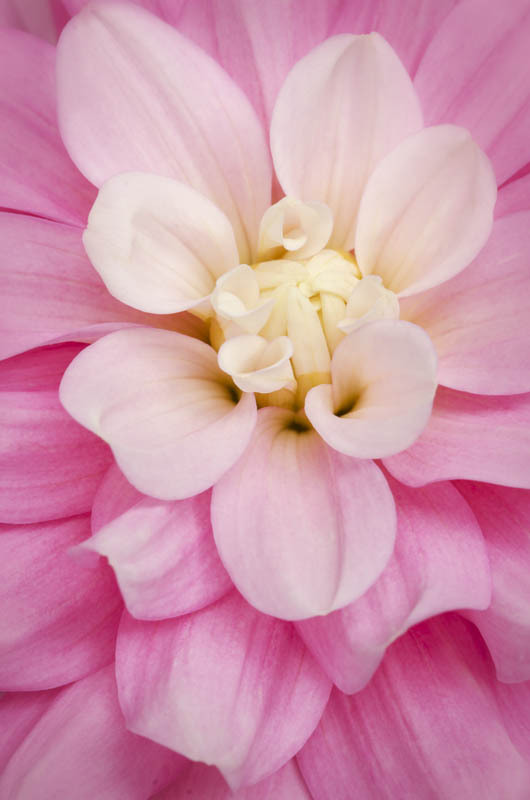 PRINT #DAH_002V This dahlia is pretty in pink pastels. 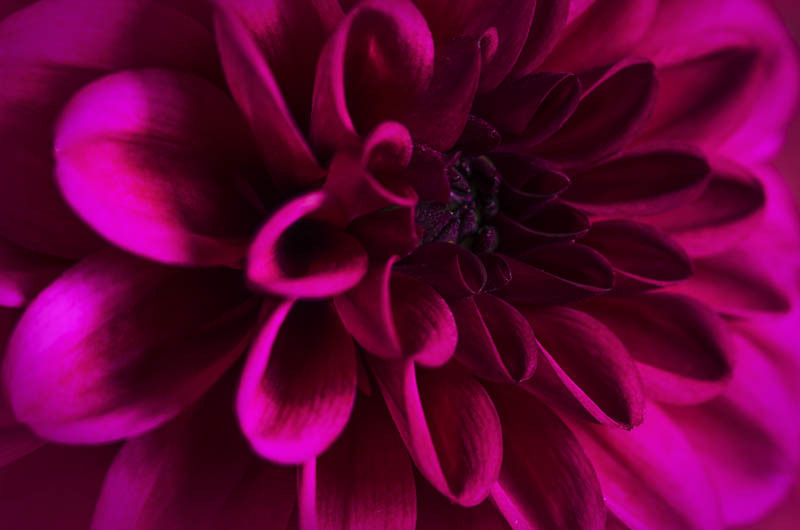 PRINT #DAH_001V - Rich magenta & green dahlia. 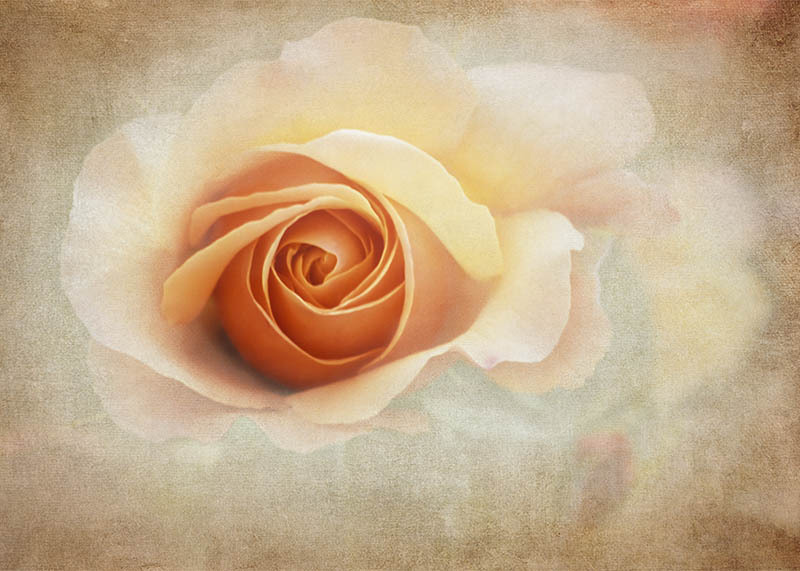 PRINT #ROS_001H - Peach Rose Elena at VanDusen Garden. 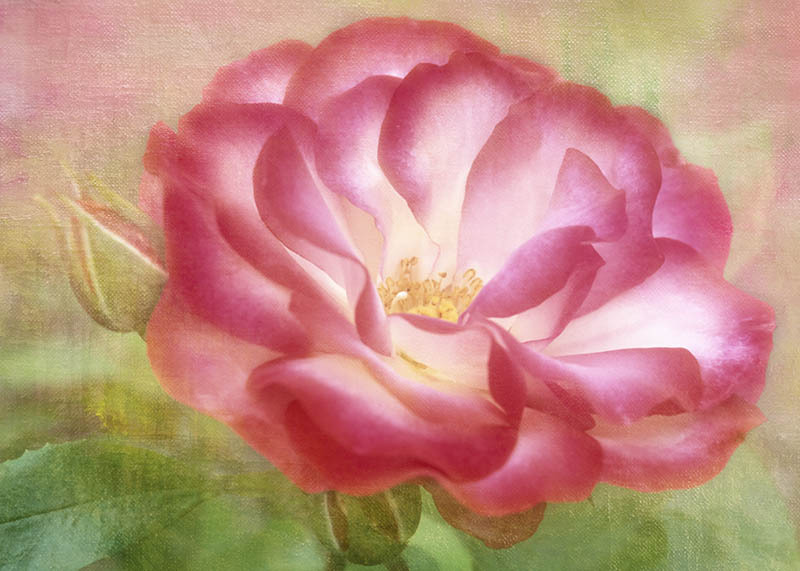 PRINT #ROS_003 - Luscious light on Hannah Gordon rose. 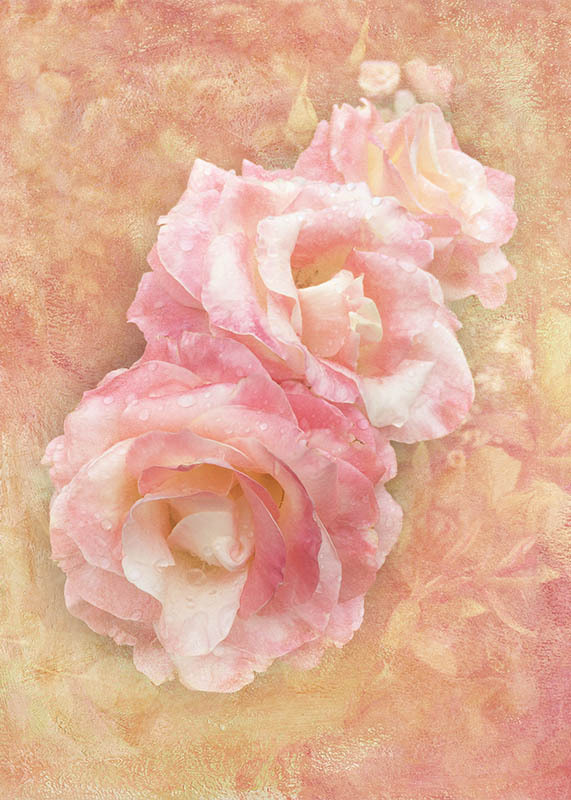 PRINT #ROS_004H - Pink tea rose with misty textures. 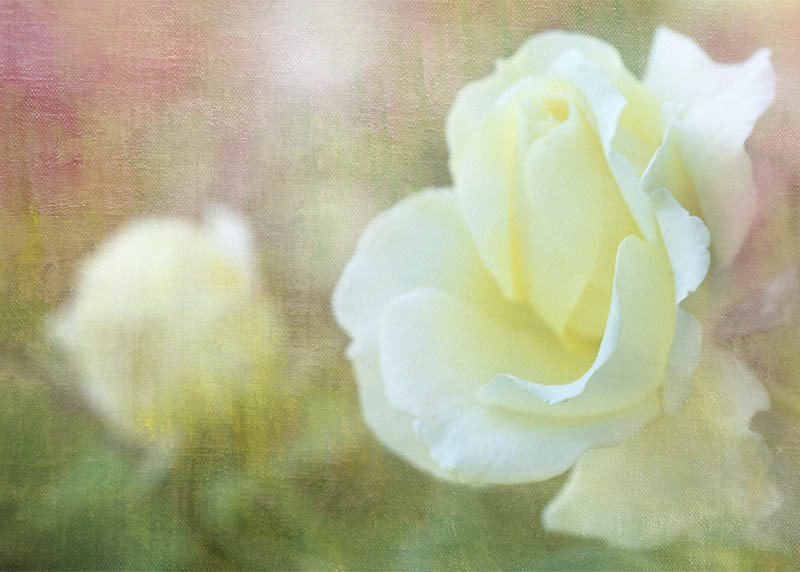 Print #ROS_005H - Delicate yellow Rose Elina and a bud. 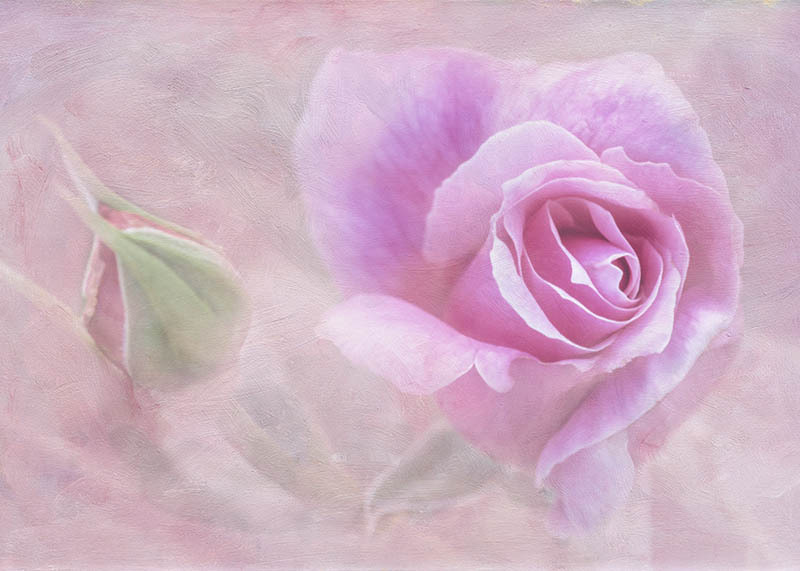 PRINT #ROS_002V Delicate pastel roses at the Empress Hotel. 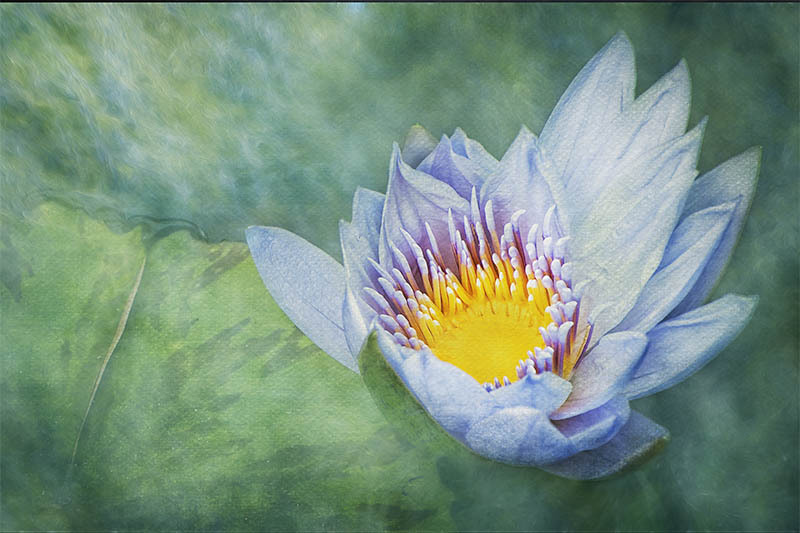 PRINT #WAT_001H - The symbolic blue waterlily with textures. 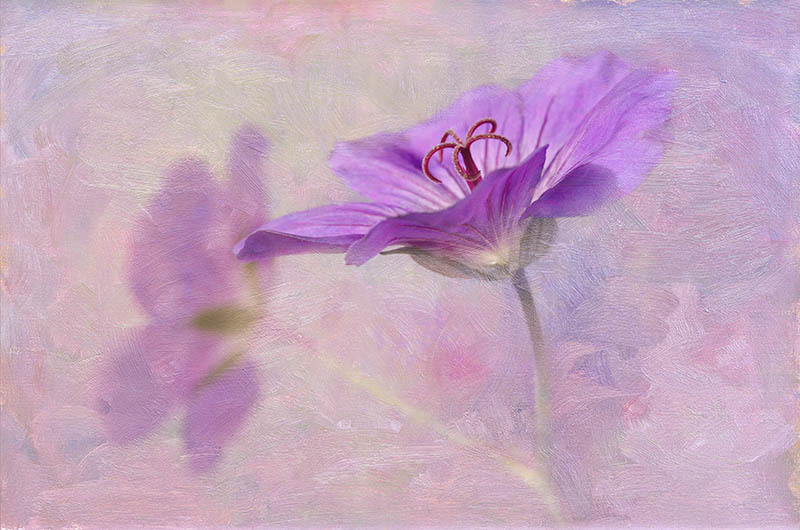 PRINT #GER_001H - Delicate purple Geranium Rozanne. 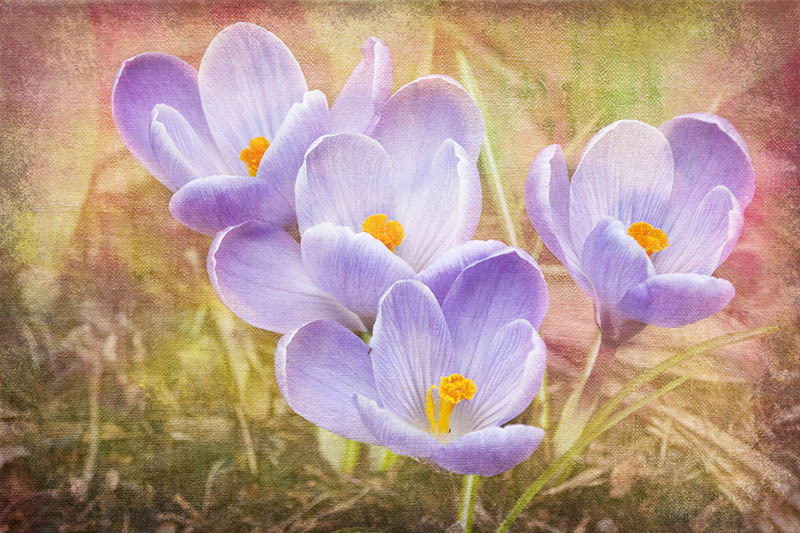 PRINT #CRO_001H - Violet spring crocuses with pastel texture. 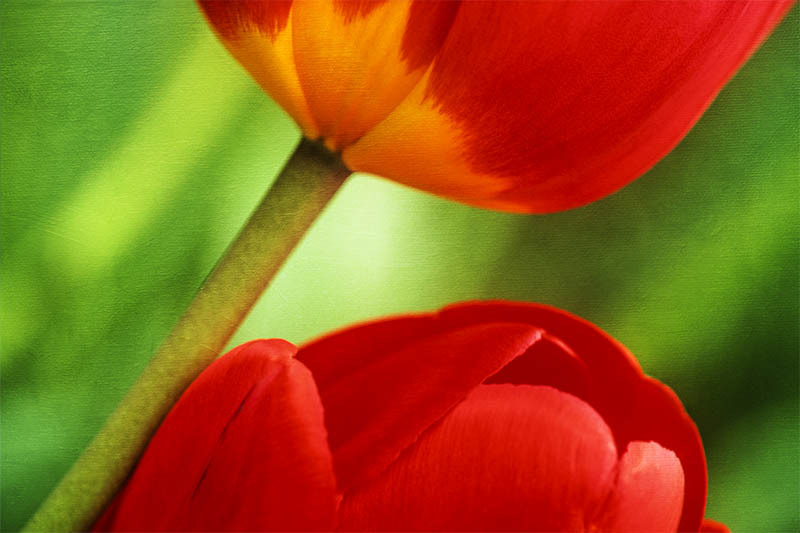 PRINT #TUL_001H - Bright red and yellow tulip abstract. 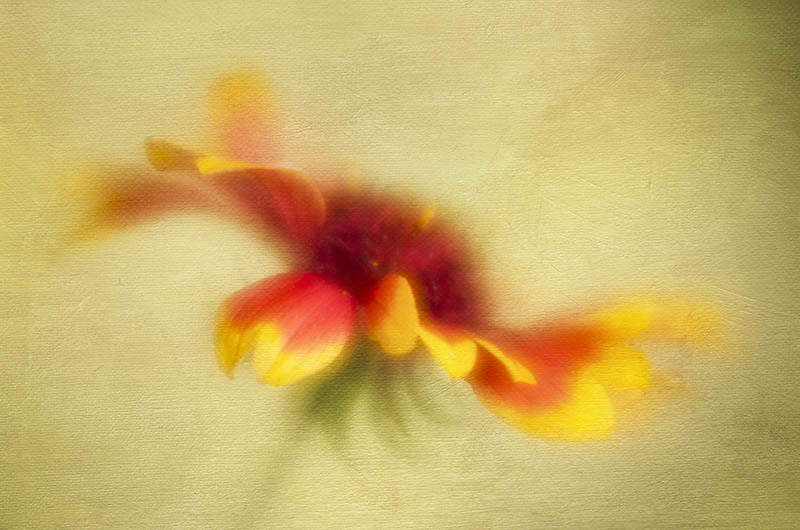 PRINT #GAI_001H - Gaillardia (blanket flower) with dancing petals. 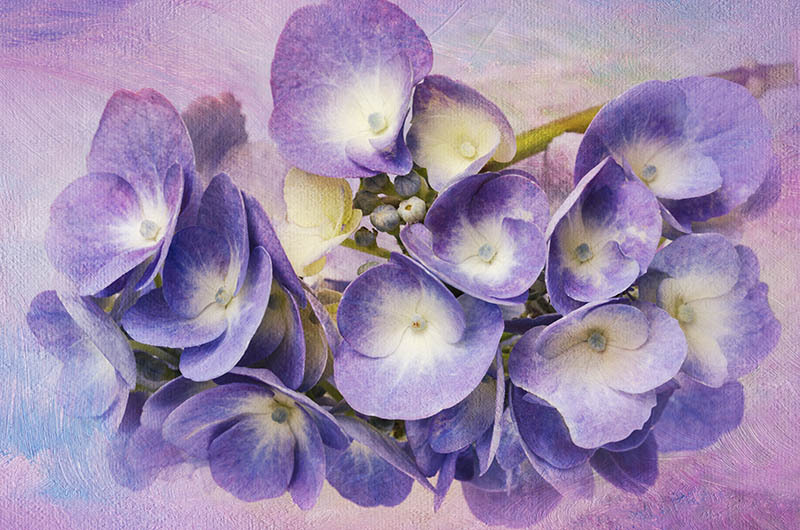 PRINT #HYD_001H - Light purple hydrangeas with textures. 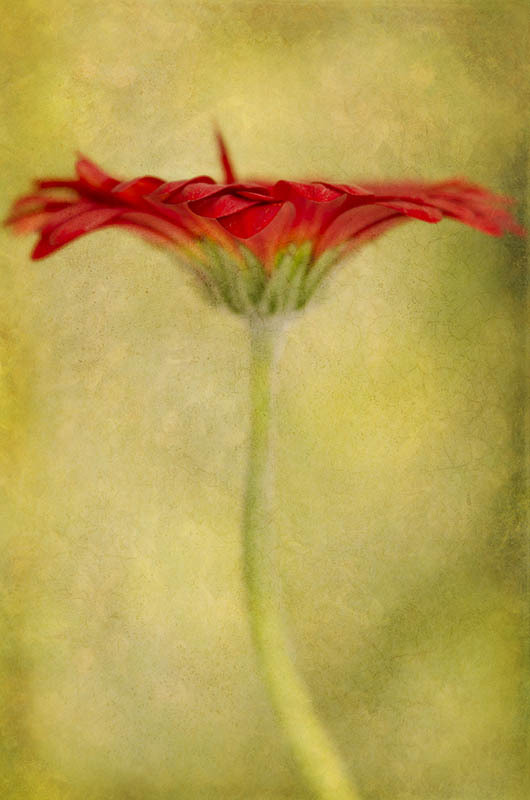 PRINT #GER_001V - Gerbera daisy with textures - Lensbaby. 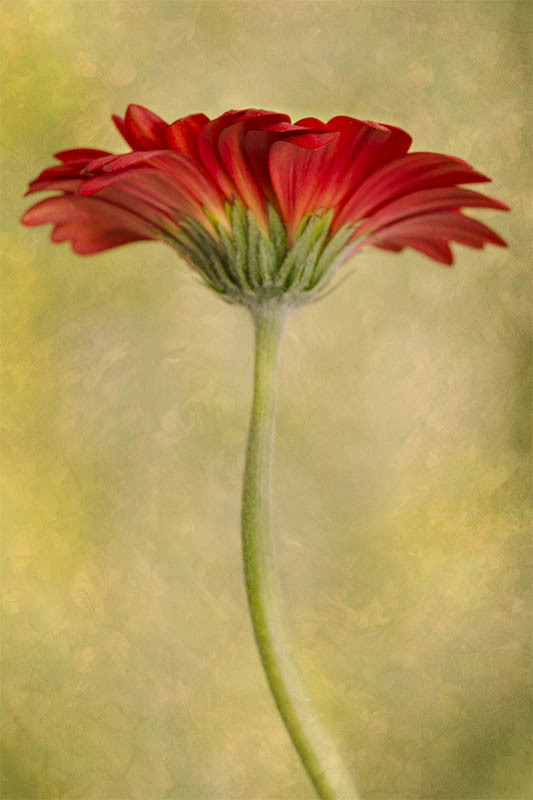 PRINT #GER_002V - Gerbera daisy with a wayward petal. 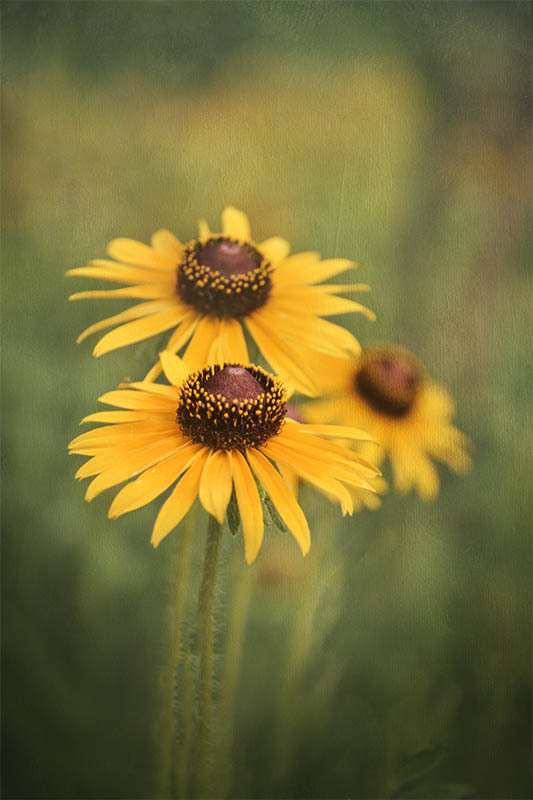 PRINT #RUD_001V - Trio of textured Rudbeckia. 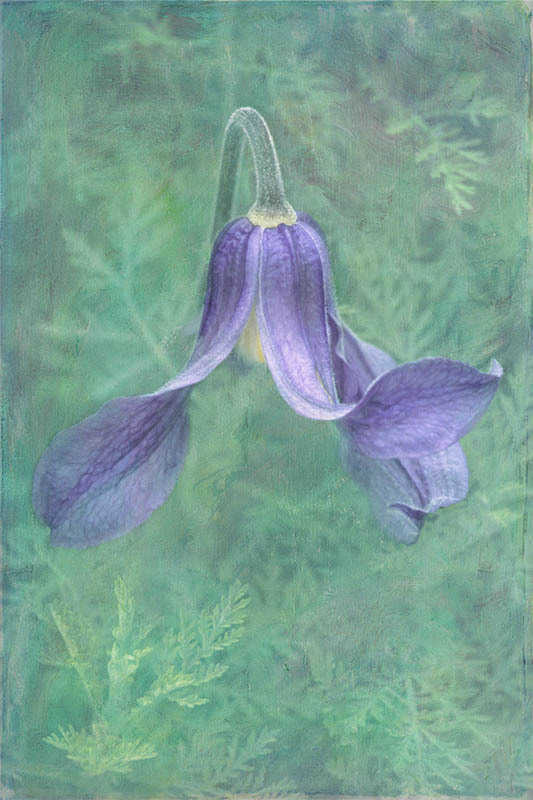 PRINT #BEL_001V - Lots of texture for this tiny purple bell. 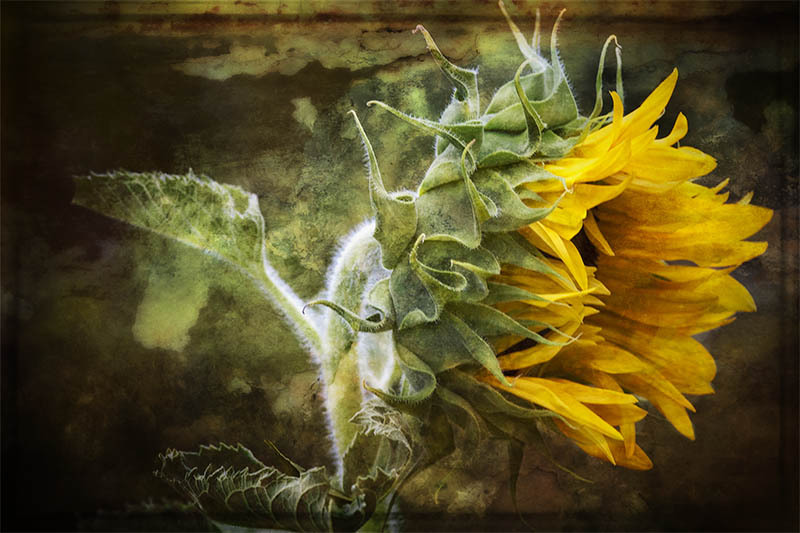 PRINT #SUN_001H - Bright sunflower with crackle texture. 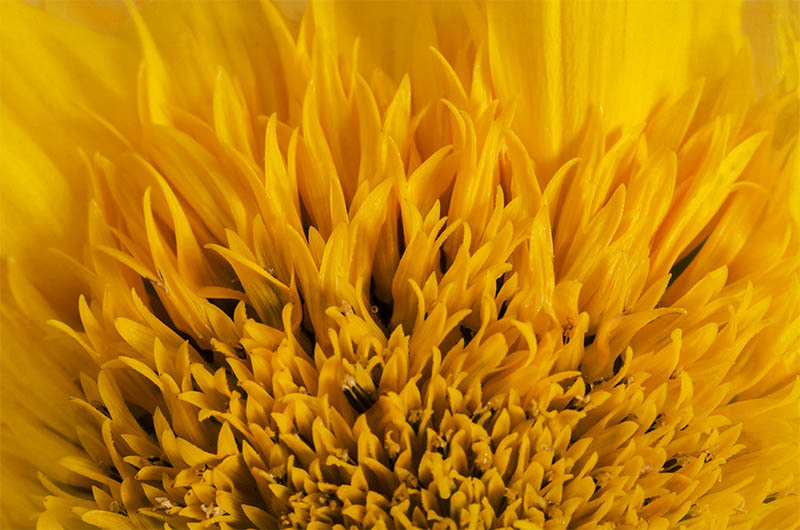 PRINT #SUN_002H - Deep yellow sunflower close up of florets. 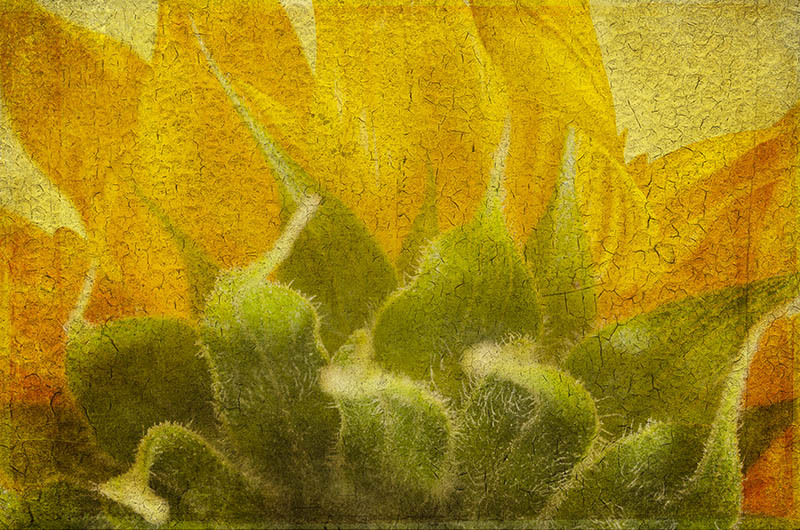 PRINT #COS_003H - Earthy miniature sunflower with dark textures.